I’m sorry, I really just can’t handle it. Even before I went to Giordano’s, a famous pizzeria located right in the heart of Chicago, in the downtown area known as The Loop, I just knew I wasn’t going to like it. Pizza is my favorite food, but not when that delicious crust is mutilated by a thick layer of sausage or cheese stuffed inside of it, and baked to be the size of a cake. Nope, sorry. I don’t think I could ever be a fan of Chicago-style, deep-dish pizza. But Chicago itself, on the other hand: you’re pretty cool. 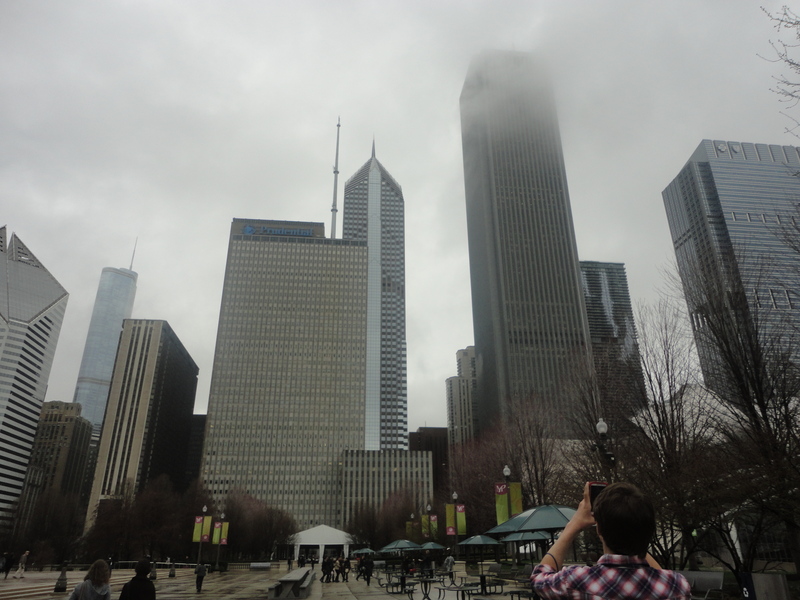 My first impressions of the windy city were, however, looking pretty grim. It hadn’t stopped raining since we arrived, and the clouds of the dingy gray sky were low enough to even obscure the tops of a few of the skyscrapers, including the Sear’s Tower. At this point, the city was kind of seeming like a less interesting New York, but with less traffic. Men in suits milled around like drone bees, carrying equally boring black umbrellas, interrupted by homeless people asking for money from strangers. And the fact that I also was one of those people in suits didn’t really help, but that is Model United Nations conferences for you, and also the reason I was there. I will always love MUN, but I will never like the formalities of it. To me, formal business attire gives off the impression of boredom and always will. Bleh – life should be more colorful and interesting than that. But things began looking up. 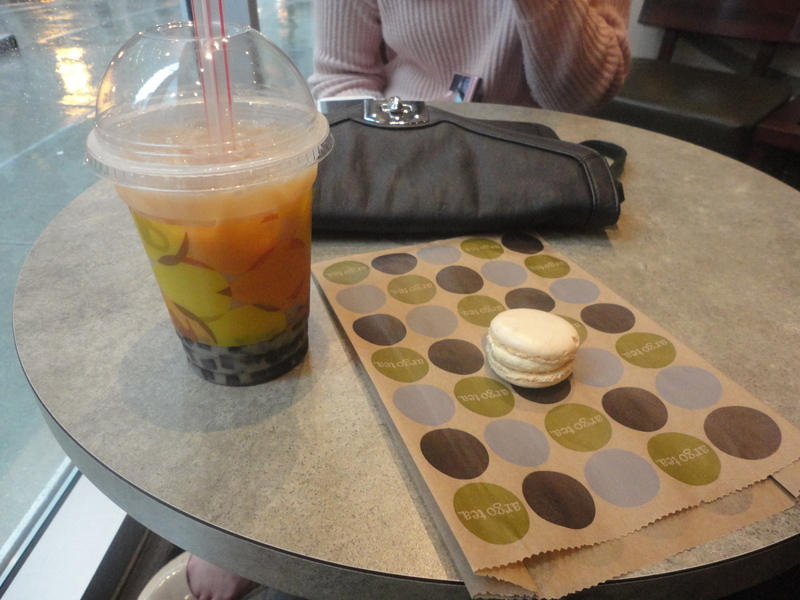 I found some time for myself between the endless bantering of MUN committee sessions, literally lasting for hours, and I used that time to explore the city. 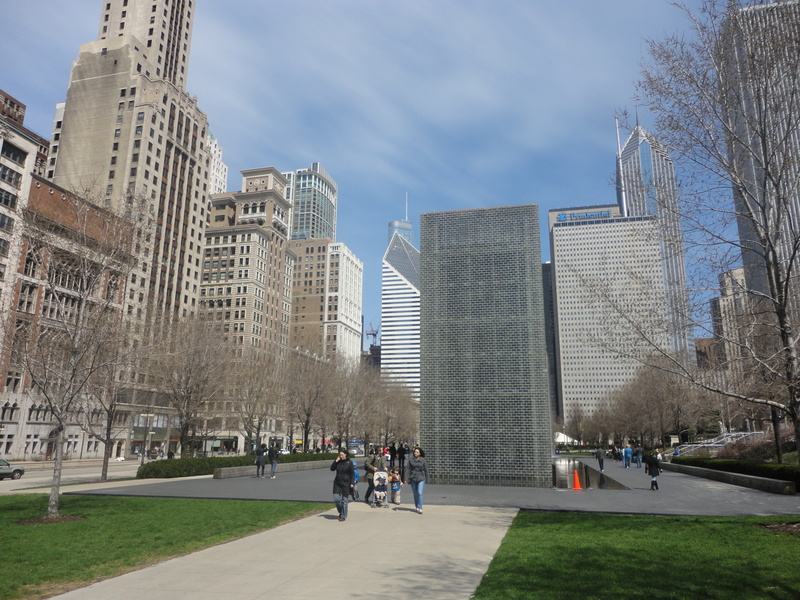 And then, as the week wore on, blue skies finally appeared, and the sun illuminated both the sparkling blue waters of Lake Michigan as well as the modern skyscrapers of the city, creating an enchanting effect and transforming the look of the city. 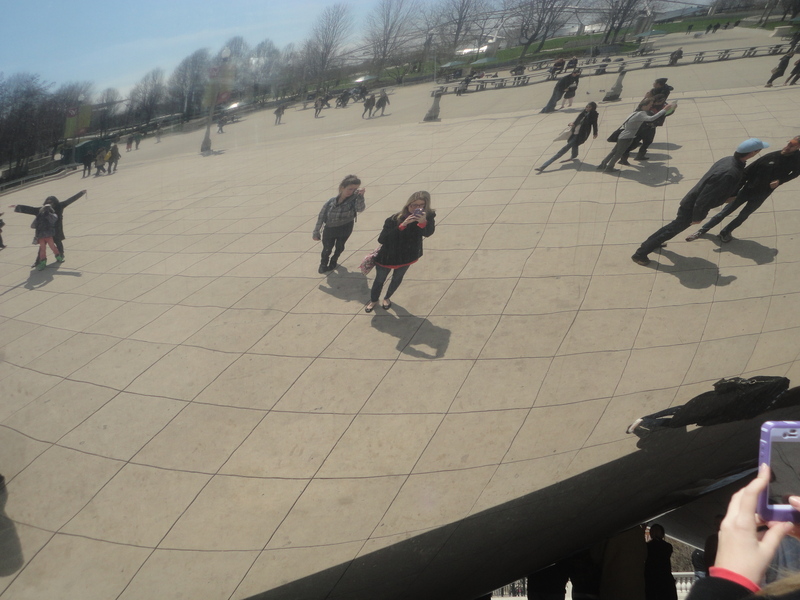 And this was when I really started to see Chicago, and to enjoy it. I started to enjoy things like those tall modern buildings lining the sky, with the historical stone buildings forming the city’s base. It was the perfect combo of new and old. 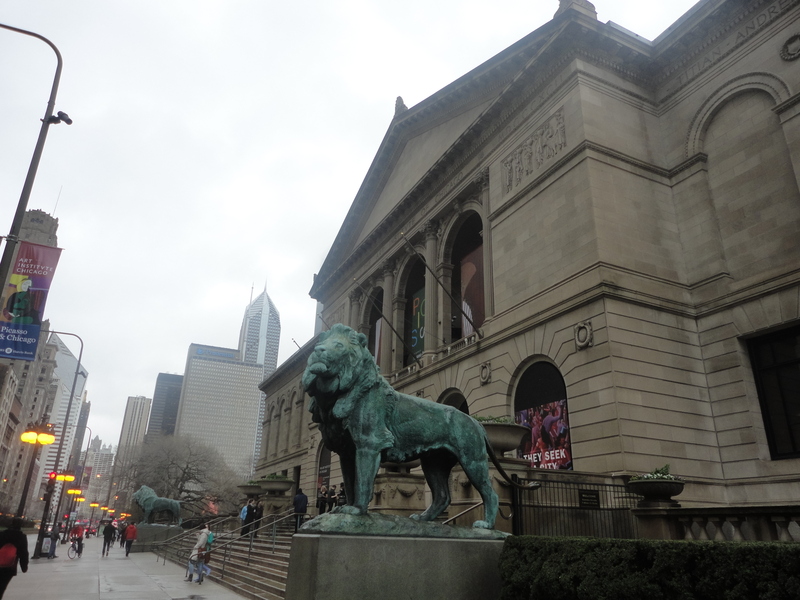 I started to notice and to enjoy the artsiness of the city, with the street art you can find around corners, the art institute itself, the cozy little cafes, and all of the quirky open air exhibits and sculptures one can find. 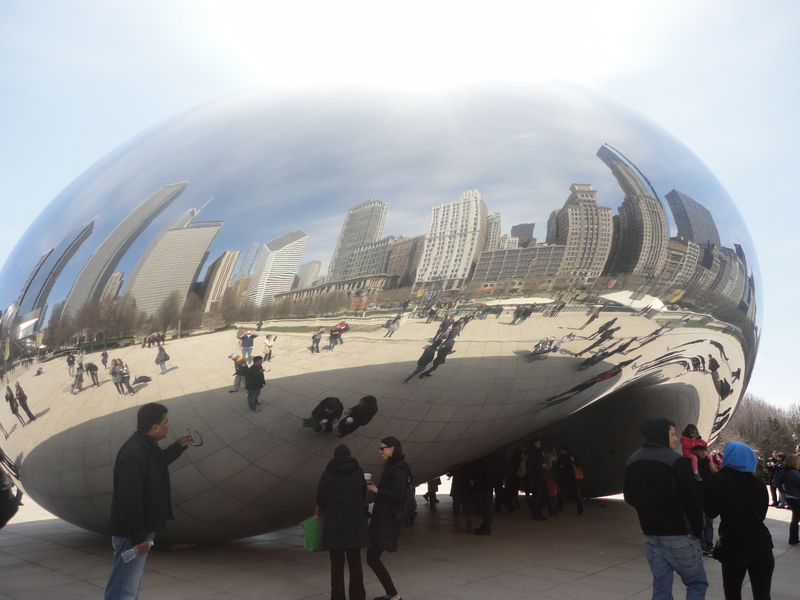 And speaking of quirky outdoor art, I also did love the beautiful Millenium Park and The Bean despite how tourist-infested this area was. 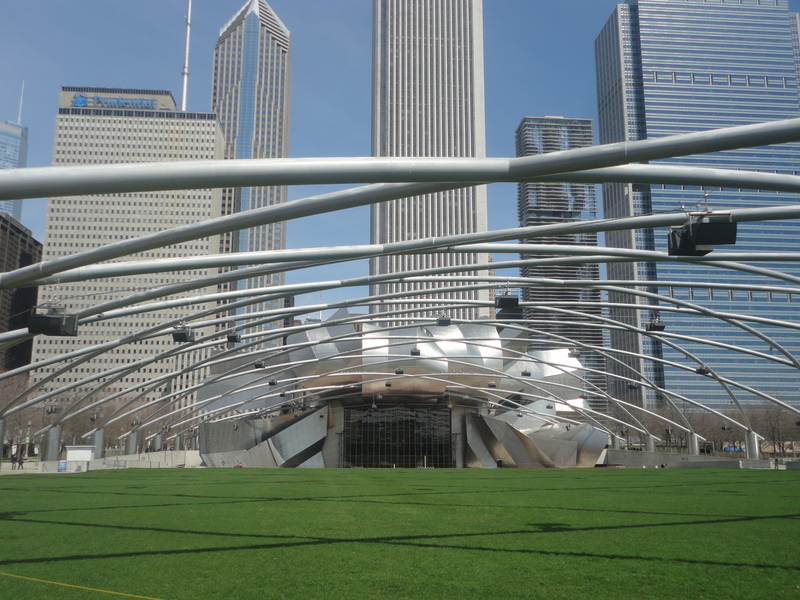 It would be AMAZING to go see a concert in that park’s venue.Seriously, just look at it. 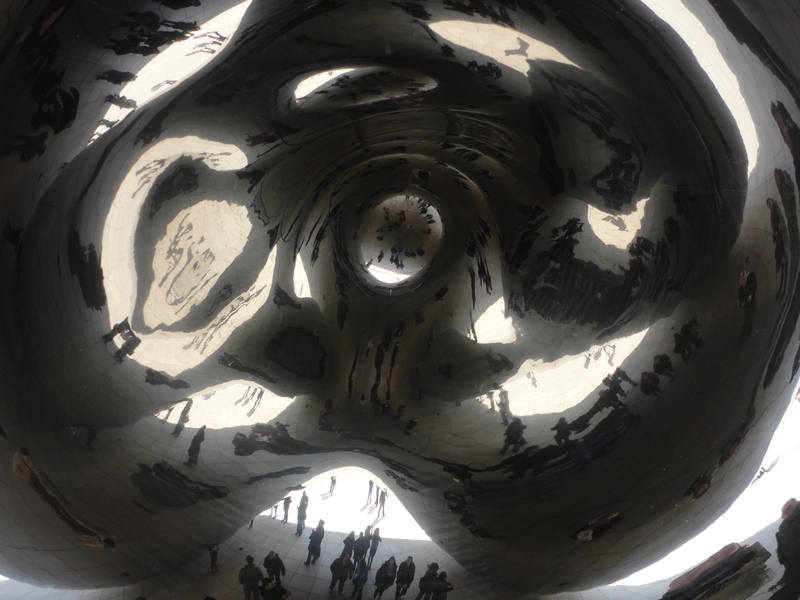 And YES, I did take photos of my reflection in The Bean as millions have done before me, because it was pretty cool. 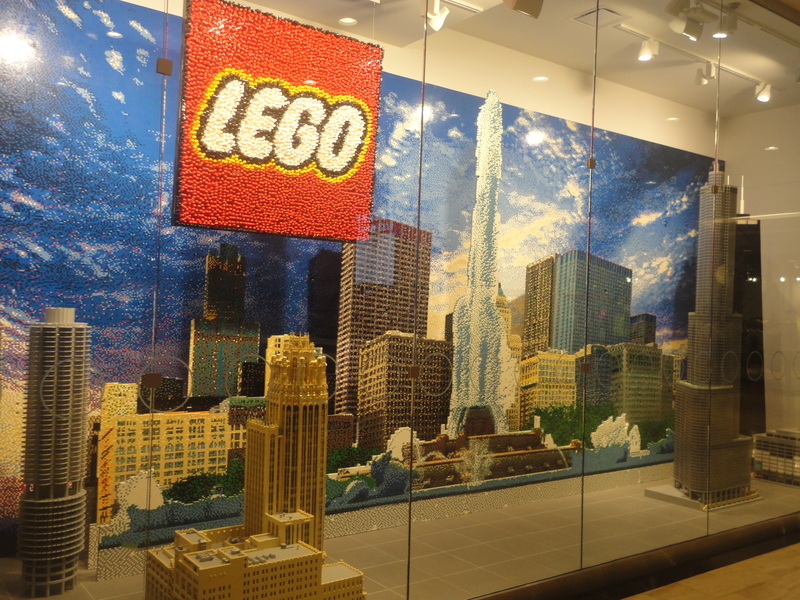 And I also found I enjoyed walking through some unique shops in the Magnificent Mile shopping district. 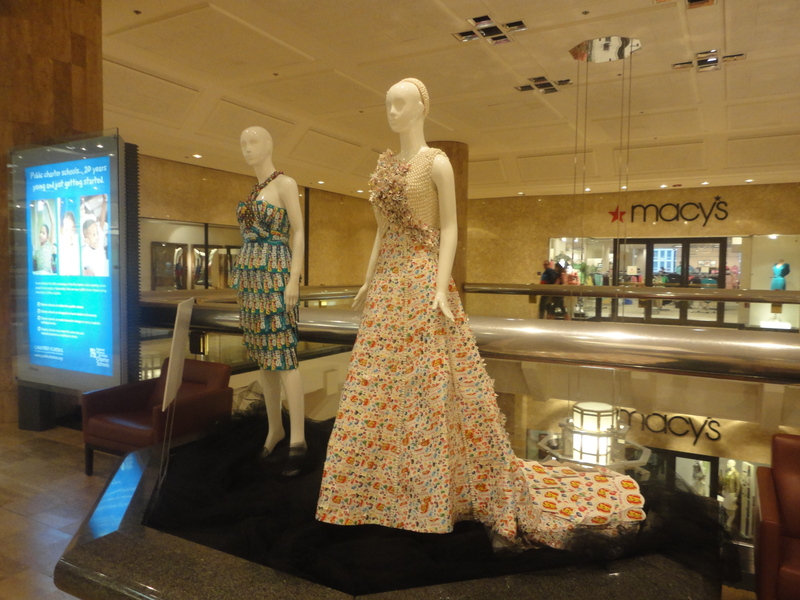 …Trying different flavors of hot sauce, and finding a candy store with both Harry Potter themed candies and complete dresses made out of nothing but candy wrappers. Yep, you heard right. So what am I going to take away from my time in the city? Well besides the many hours, the laughs, the conspiracy, and all the fun drama involved with my MUN committee (Which happened to be the Privy Council of King Henry VIII) and memories of that one Saturday night (ahem), I am certainly going to remember all of these interesting places I encountered in my explorations. And the best part? I know I’ve barely even scratched the surface. 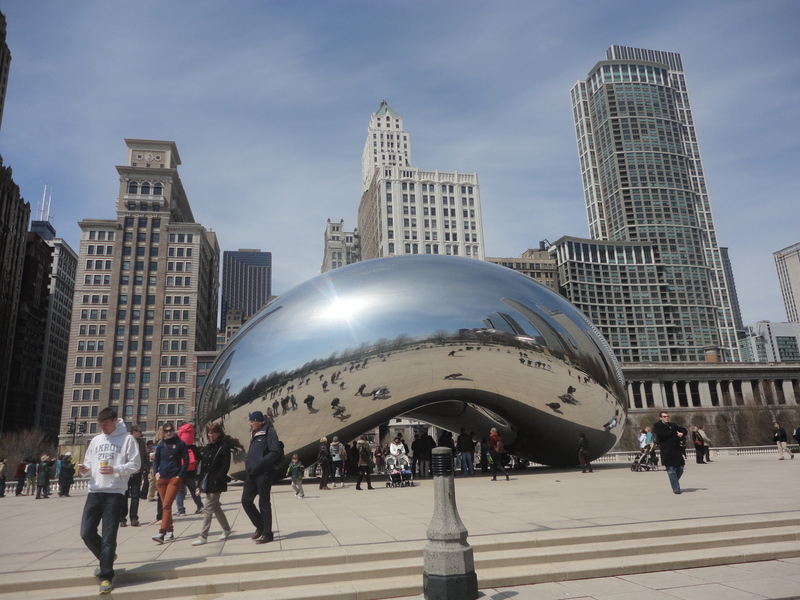 I’d love to come back when I don’t have to worry about my commitment to attending MUN committee, and learn more about the city through a local’s eyes, to discover everything I missed and all the hidden wonders of the windy city. And for future reference, the nickname “The Windy City” is used for very, very good reason. Everything. 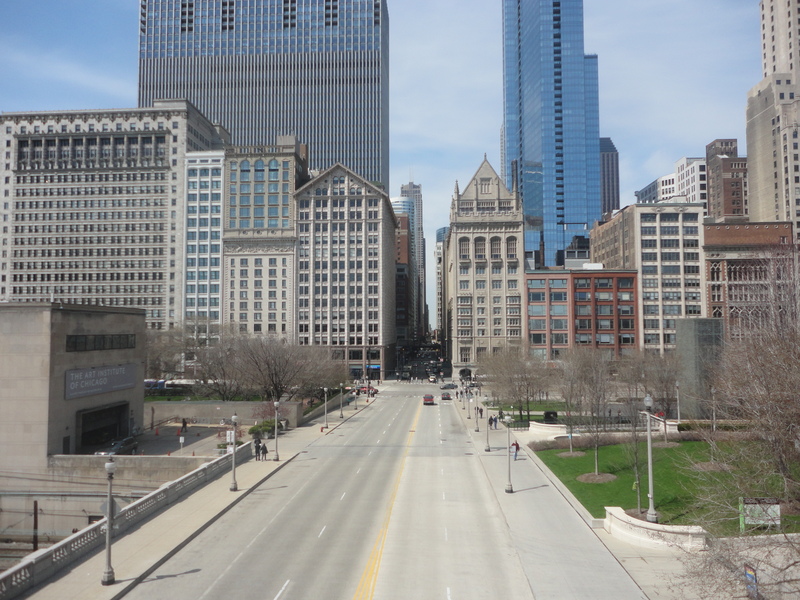 Chicago is an unending font of wonder and strange street smart allure. It holds an intense history and a hopeful future all in one. I blog a lot about how much I adore it. If you want more pictures, stop on by. Wow, it sounds like you love the city a lot!!! I feel like if I had stayed there longer, I would have grown to like the city even more. 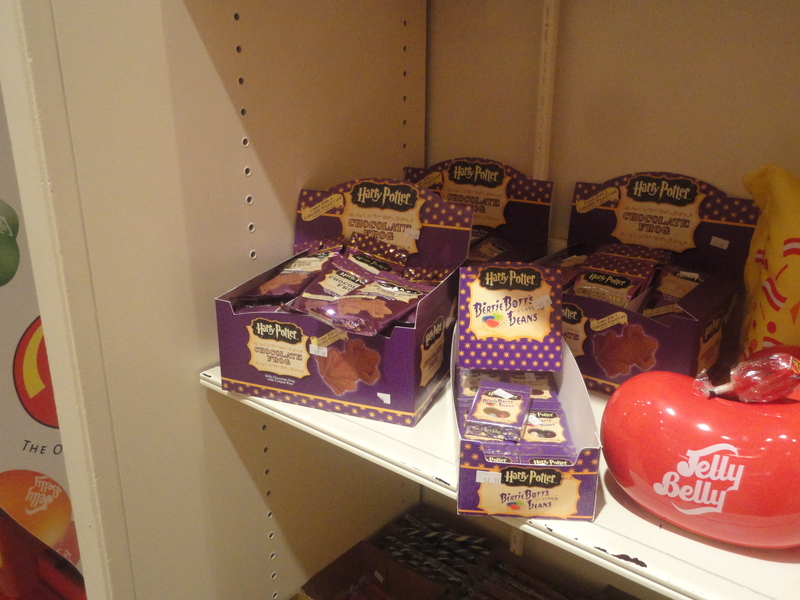 I was there for less than a week, and I found that as time passed I liked it more! 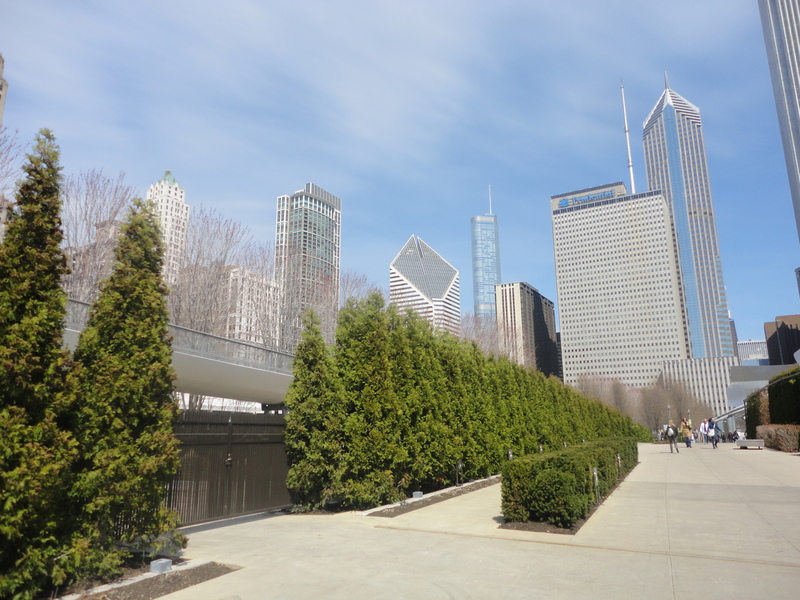 i checked out your bolog – your posts and photos about Chicago are beautiful! Thanks so much. I’m a Californian, but I fell in love with this city when I moved here. Come back during the summer for the festivals. Never a dull moment. My wife and I were there in September of 2010. 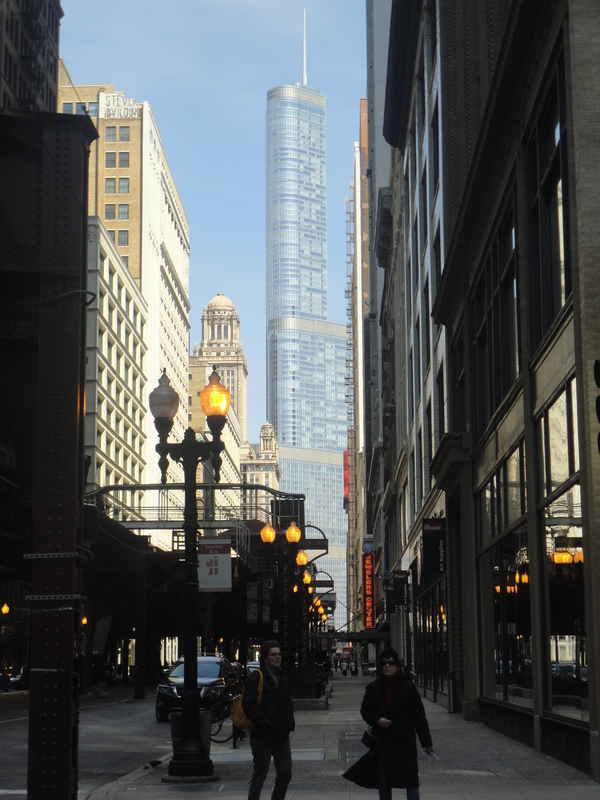 I’d have to say that my favorite thing was the architecture tour on the Chicago River. It was a great way to tour the city. I will have to say that I was rather fond of the deep dish pizza, I also like the Chicago hot dogs with all the tomatoes, peppers and green relish. 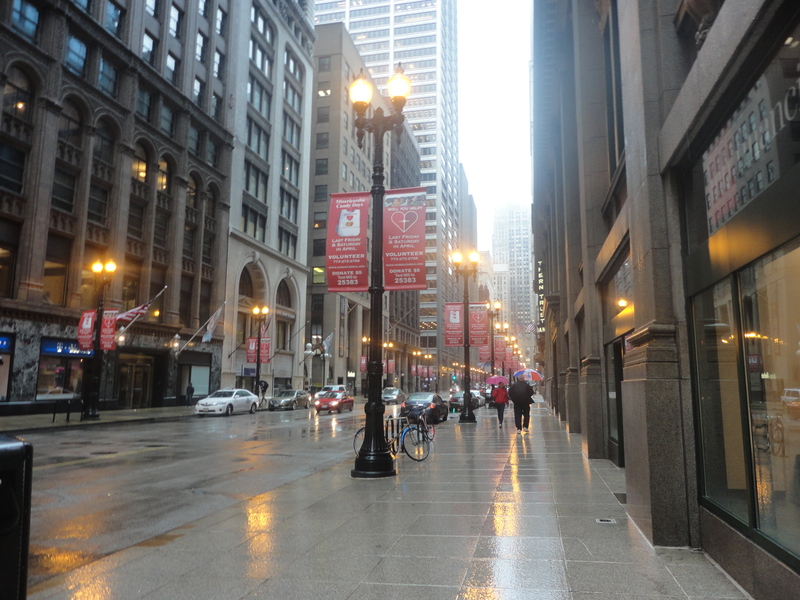 We also checked out some of the local bars in the loop and on Rush street. That was fun! 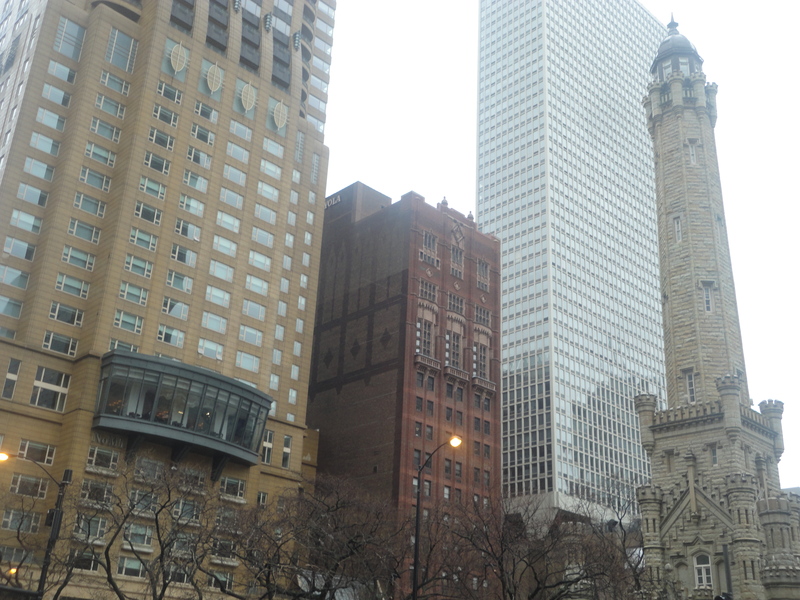 The architecture in Chicago is definitely very cool – that architecture tour must have been so interesting! And although I will never agree with anyone about deep dish pizza, I must agree that those hot dogs were delicious :). When I’m 21, I’ll have to revisit and do some bar-hopping as well!